If journalism was merely content creation we would not open up comment threads or host forums; we would not arrange Q&A discussions and editorial events. When we create a Twitter account as a journalist, we also become a publisher. When we create a Facebook page, we become a publisher. Blogging, Snapchatting, running an email newsletter: these are all cases of us taking on publishing roles and decision making: how, when and where to publish to whom. Publishing decisions. So this is where coding comes in. Kovach and Rosenstiel’s principle #9: “Its practitioners must be allowed to exercise their personal conscience.” Knowing HTML allows you to customise a link so that, for ethical reasons, Google does not give it extra PageRank. Indeed when we teach SEO or social media optimisation we are really teaching code: decisions like encoding words in a heading tag (as a headline), and thinking about their placement are ultimately coding – and publishing – decisions, not purely content ones. (And it’s worth remembering that print subediting was ultimately a coding decision too: about having fewer characters so we could use larger blocks of lead and have larger headlines). Understanding the behaviour of users and social network algorithms are publishing – and coding – decisions, not purely content ones. Both of these have been criticised as making journalists try to ‘please machines’ but really it’s about connecting with audiences and the way that they consume news, just as we thought about what words and images would have the biggest impact on a front cover as they passed it at the train station. Coding is publishing: connecting content with a public. This is Kovach and Rosenstiel principle #7. Now, knowing CSS allows you to change the look of your content and make it more appealing, clearer or functional. But also code allows you to make content interactive in ways that make it more interesting; or personalise it to make it more relevant. The complexity of that code – and the ability of the journalist – can vary enormously from simple techniques to advanced programming, but the principle is the same: if we expect journalists to be publishers now, we cannot say that coding is not important. 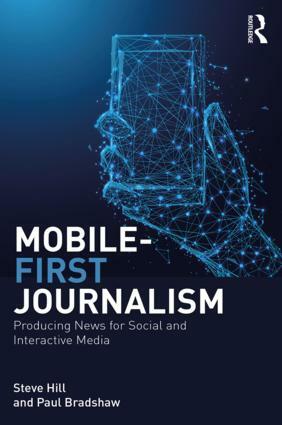 Kovach and Rosenstiel’s 4th principle touches on a real issue facing journalism in the 21st century: how to retain independence in a world which relies on dominant technology giants like Facebook and Google. 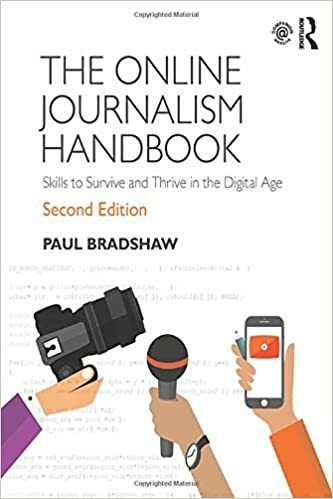 One of the strongest arguments for coding’s role in journalism is an ideological argument: that journalists need to understand the systems that govern society and their own work. Code is now one of those major systems. If we expect journalists to understand public administration and the ways that governments are given and exercise power, then they should also understand how code represents power. And in that sense code is very much moving towards the core role of journalism: which is to hold power to account. That person is batting on a sticky wicket from the first ball. Journalism is not ‘content’, it’s journalism. “You wouldn’t believe how these old film stars look now” is content. The moment anyone in publishing – as opposed to marketing – talks about content, you want to start running in the opposite direction.